As children, your parents seem invincible. They are wiser, stronger, and more experienced than you. You expect that they will always be there. So, when the moment comes that you realize your parent is getting older and frailer, you may be in denial. Perhaps you are unprepared to be in this world without them, or you are frightened for their health/mobility/memory, or unsure if they should still be living on their own. You may need to face the reality; your parents are not getting any younger. It is in the best interest of your family to prepare for your parents getting older and the concerns that come with aging. Our wish is that your parents live in good health and pain-free together for as long as possible. But life can get in the way of these plans and intentions. How do you prepare for your parents getting older and their changing needs? Lack of grooming and disheveled or dirty clothing, especially if they typically take pride in their appearance. Weight loss and poor nutrition with nothing in their refrigerator or kitchen for a proper meal, or spoiled food being used. If their health or happiness is compromised by the changes due to aging, it is best to be prepared and understand their wishes as they get older. Denial will not turn back the hands of time, but preparation and planning can bring real comfort to a family. When you or your family is overwhelmed by the thought that your parent can no longer care for themselves, a first step may be to look at how they want to handle their future finances. We would encourage your parent to set up a power of attorney. A power of attorney will authorize a trusted person to manage their finances in the event they can no longer. Working with an eldercare attorney, your parent can specify how they want their finances handled. If your parent suddenly falls ill, a power of attorney can take over their finances, so bills don’t fall behind and their medical bills are paid. We suggest discussing a living will with your parent if they have not done this important step. A living will (also known as an advanced directive) is a legal expression of what treatment a person would want in a future situation. This important document will help your family clearly understand their medical wishes in the event that your parent can no longer communicate. This information may include resuscitation guidelines, whether they want dialysis, blood transfusions, palliative care, and when “extraordinary measures” should be taken. Like the power of attorney for financial decisions, a medical power of attorney can make medical decisions on your parents’ behalf for end-of-life care. It’s best to consult with an eldercare attorney for advice on how to handle these details. As your parent gets older and their needs increase, you may be faced with changes in traditional roles. 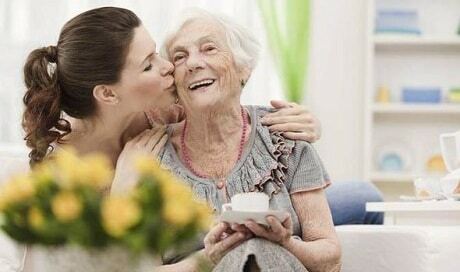 As you take on more and more daily tasks to care for your parent—caring for their home and pets, driving them to appointments, paying their bills and balancing their checkbook, cooking, shopping, and other household chores—you may soon feel like a parent more than a child. This can be emotionally frustrating or unsettling if you are unprepared to be the decision-maker for your parent. Don’t underestimate this challenge and the emotional toll it can take on an adult-child. Prepare for this possible reality and understand this is normal. Surround yourself with a network of support whether that includes other family members, siblings, trusted friends, or even a therapist. If these critical steps are in place, you and your parent can rest easier. Planning and preparation can bring peace of mind as your parent reaches their golden years. Contact your local Aegis Living to discuss future plans for caring for your aging parent.